Have you ever felt desirous of the technology on display in science fiction films, and hoped that similar inventions could exist in the present? Or are you on the opposite side of the spectrum, and you see science fiction films as prophetic warnings about our imminent fusion with technology? Whether you are looking forward to the creation of the technological innovations that have graced our silver screens, or you’re dreading them, no one can deny that we are living in a digital age. Our current relationship with technology has long been presented to us through the medium of science fiction films, films like Minority Report, Her, and 2001: A Space Odyssey. 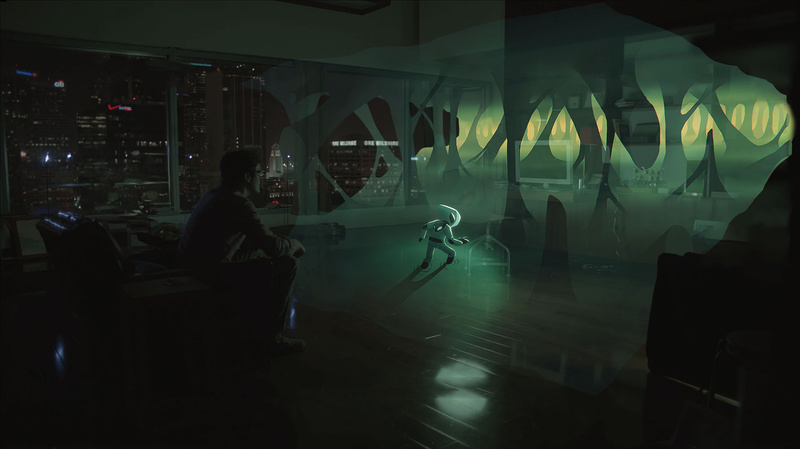 One of the more unsettling facets from the world of Minority Report, juxtaposed with the seemingly innocuous haptics, are the highly personalized advertisements that haunt the protagonist wherever he goes. Like the characters in Minority Report, we are also used to seeing advertisements that are highly tailored to us, and constantly informed by our shopping habits. Ever browsed an online store and subsequently gone on Facebook, only to see that the very item you were searching for is now popping up in an advertisement? It’s no accident. Using cookies, or a small piece of code that tracks your search history on the web, companies can show you advertisements based on things you previously searched for. It’s not just our browsing history that informs what advertisements we see; a recent study conducted at Northeastern University uncovered some disturbing facts about our smartphones as well. Researchers studied a grand total of 17,260 different apps to see if any of them were monitoring our browsing history and selling it to third parties. They found that 9,000 of the apps in the study had permission to access camera or microphone without the permission of the user, meaning that our phones could record our conversations without our knowledge. The study also uncovered evidence that some of the apps being monitored were sending screenshots and video recordings of our phones interface, while it was in use, to interested third-parties. Read more on the study here. 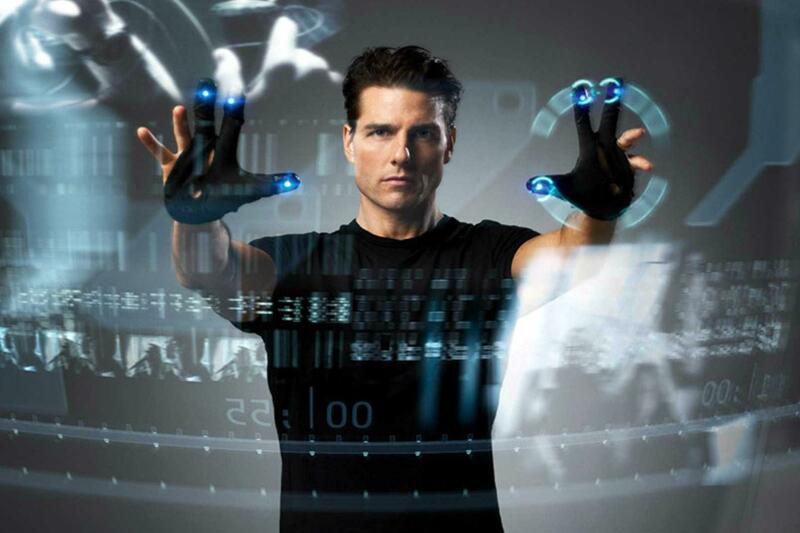 Like the characters in the film Minority Report, technology now informs every aspect of our lives and even acts as an extension of our person. Is this harming us as a society? Technology has many known, even lifesaving benefits, many of which we neglect to mention while discussing the dystopian reality of personalized advertising and virtual reality. With the advent of the smartphone, the average citizen is walking around with a super-smart computer in their hands during most of their waking hours. With our phone always on our person, we are already becoming one with the machine, and we are all plugged into a type of universal-consciousness: the internet. Tapping into this universal-consciousness has allowed us to be more inter-connected than ever before, along with giving us a wealth of information at our fingertips, but does this mean that technology is actually making us less lonely? Or are we only able to make superficial connections via our smartphones and computers? This essential questions brings us to our second film, Her. Her is a film about a man who falls in love with his operating system, think the equivalent of a highly empathetic Siri or Alexa, and about the highs and lows of their virtual relationship. While Minority Report is a film about the intrusiveness of technology, Her is a film about technology being used as a temporary cure for loneliness. The main character of the film, Theodore Twombly (Joaquin Phoenix), is a lonely singleton whose desire to live in a simulated world is evidenced by his hobbies and his tech-heavy apartment. He escapes his depressing reality by playing immersive games, much like the VR games we have now, and by getting to know his personal voice assistant, Samantha (Scarlet Johansson). The viability of their relationship is juxtaposed with the ridiculousness of being in love with anthropomorphized technology. With recent advances in both AI and voice recognition technology, we are much closer to being able to create connections that feel human with our less-than-human counterparts, much like Theodore and Samantha in Her. New strides in technology are close to allowing AI to understand our emotions and respond appropriately. Speech recognition in AI has historically been used to translate speech into text, but what if AI could analyze our speech patterns in order to gauge our emotions during an exchange? There are a few companies, like IBM Watson, who now offer this service. The AI in question records the speech and then breaks it up into its component parts, further analyzing how the customer is using language, to what effect, and their affectation. Google offers a similar service called “sentiment analysis.” Read more about it here. With AI’s new speech recognition software looming on the horizon, we are getting closer to the reality depicted in the film Her, where AI can befriend and even relate to its users. No one has a definitive answer as to whether or not this will actually improve our joint quality of life, but perhaps we should ask ourselves why we find these technological advances so controversial; what do we gain or lose by eschewing our flesh-and-blood reality for a more sterilized, virtual one?